Who didn’t wonder why they were sprinkled from nowhere by the SNU irrigation system when they didn’t expect it? Who wants to be sprinkled in the early morning sometime in the middle of December? Well there is the way to avoid this unless you want to experience this. Nothing cannot be as awesome as being wet and cold, right? For those who wondered the way it operates and some secrets keep reading. “Well … one morning I was late for my first class and had to take a longer way because the sprinklers were on,” said Polina Chala, a freshman. The Irrigation system is more than twenty years old and consists of fifteen individual systems that are operating on the SNU campus according to director of grounds Brett Benson. The cost of the whole irrigation is approximately one million dollars. Impressive, right? Another secret is that the grass at Southern Nazarene University is green the whole year, which is not true for every school. Usually, sprinklers don’t work during the cold weather but here at SNU at rarely goes off completely for long time. The reason the irrigation system works basically the whole year around is because our grass needs to be watered periodically. Every September, SNU sows the grass. During these two weeks, SNU’s irrigation system waters the seeds twice a day for two weeks. However, SNU’s sprinklers don’t turn on during freezing weather. 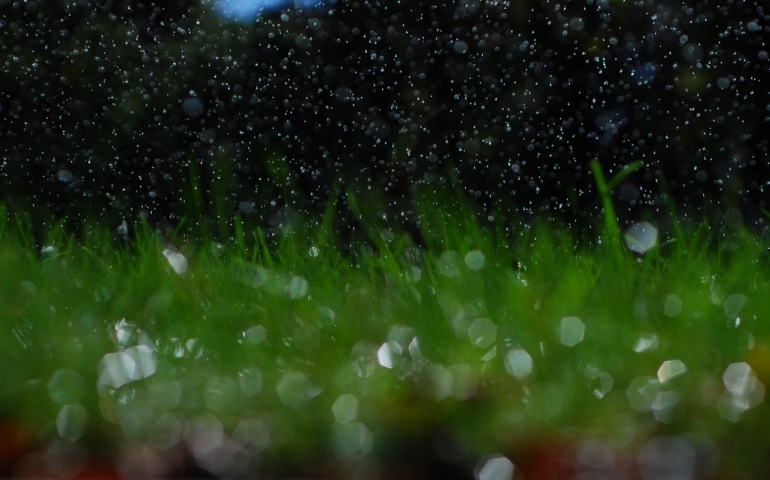 The normal time that the irrigation system starts to water the grass is 8:00 p.m. every night. Also, SNU had made a good decision about water. “SNU doesn’t buy water from the city and it is saving annually approximately hundreds thousand dollars,” said Brett Benson, Director of Grounds. SNU uses three different sources of underground water, which helps to save a huge amount of money for school. to sum up, SNU’s irrigation system may called unique because of green grass the whole year around and those great savings on water.